It’s easy to sit back and blame corporations for the evils of the world. McDonald’s makes people fat. Advertising companies lie to sell their products. That guy at Starbucks is on a mission to ruin your mochaccino every morning. The list goes on and on. But then there are companies that resort to nothing short of murder and mass genocide to save a few bucks and make sure their products are nestled comfortably in every home. Here are 10 of those evil corporations. You’ve probably bought something from most of them in the past few weeks. Monsanto needs no introduction, but we’ll do it quickly anyway: They’re a pesticide manufacturer known for being the first company to genetically modify a seed to be resistant to pesticides and herbicides. 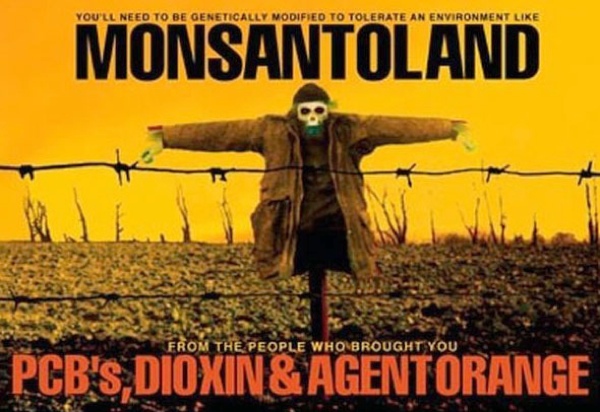 Their seeds are billed as “Roundup-Ready,” meaning that it’s the only thing that will stay alive in a field that’s been sprayed with Roundup, Monsanto’s main herbicide product. This led the movement towards genetically modified crops—food crops that are bigger, grow faster, and can be literally doused in chemicals and not die. Now, aside from the fact that GMO crops are largely untested except for this study where rats on an 11 percent GM corn diet were six times more likely to die, Monsanto itself is, well, fairly unethical. In 2002, Monsanto was convicted of dumping tens of thousands of pounds of PCBs into the waterways of Anniston, Alabama, before lying about it for years. 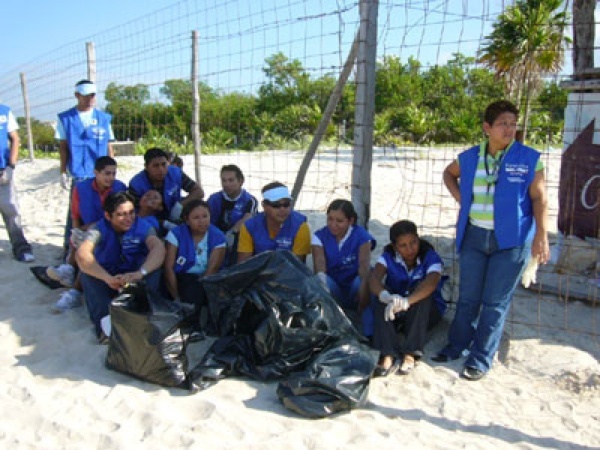 This led to the highest concentrations of the toxic pollutant ever recorded in history. Monsanto’s view on the situation was, “We can’t afford to lose a dollar of profit” (that’s a real quote). 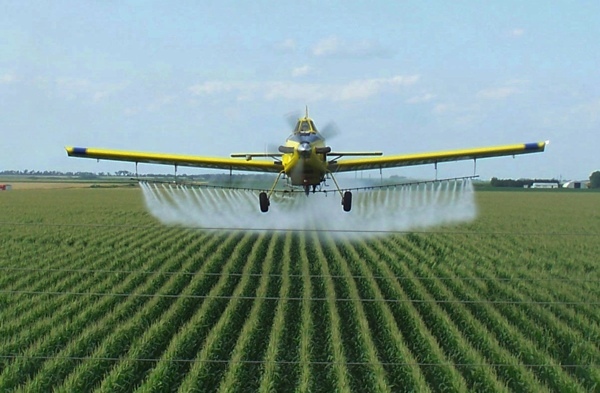 In the four years between 1996 and 2000, companies in the US exported a little over a billion pounds of chemical pesticides to third-world countries. That’s not really a big deal, but this is: Most of those pesticides were banned in the US because they were known carcinogens—but through a loophole, it’s still legal to manufacture and export them, as long as they’re not being used in the country. As a result, over 350 million agricultural workers in areas like Africa and Central America are put in contact with these chemicals, only, through another loophole, they’re not told about the small fact that without the proper gear they have a very good chance of dying. So you end up with a situation like this plantation in Costa Rica that was sold a pesticide called Counter by American Cyanamid Co.
A quick fact about Counter: The chemical in it is an organophosphate—that’s what they used to make nerve gas before WWII. Counter is only approved for handling if you’re wearing gloves, a face mask, and eye protection. The uninformed Costa Rican farmers, on the other hand, worked shirtless and spread the pesticide with their bare hands. Some of them even used full bags of Counter as pillows at night. After a few days, the workers were literally vomiting blood and foaming at the mouth from the toxins that had worked into their bodies. And it’s still happening everyday. Companies like American Cyanamid and Chevron Chemical Co. export about 10 million pounds of these chemicals out of the country each month—to areas that provide approximately a quarter of the produce sold in America, freshly dusted with illegal pesticides. In 2009, something strange was discovered in the water near Patancheru, India—high concentrations of over 21 different pharmaceutical drugs were mixed in with the town’s water supply. As it turned out, these drugs were being dumped in the stream by the many factories in the region—factories owned by US pharmaceutical companies. In particular, one factory was dumping 100 pounds of an antibiotic called ciprofloxacin into the stream—per day. This is the town’s only water source, providing everything from drinking water to a place to bathe. Pharmaceutical waste like this has been discovered in the US as well, and it’s estimated that about 46 million Americans’ tap water contains traces of pharmaceutical drugs in varying concentrations. Based on where the drugs have been found, EPA officials believe that it’s coming from illegal dumping by nearby factories. How evil is this? Aside from its effect on wildlife (stunted growth), we don’t really know what kind of effect small quantities of dozens of combined drugs will have on people. But it can’t be that good. You may recognize Bayer as the maker of Aspirin. They’re one of the top pharmaceutical companies in the world. In 1984, they discovered that one of the products they were selling—a medicine to induce blood clotting—was infecting people with H.I.V. So like any responsible company, they stopped marketing it and developed a safer medicine—right before exporting all of the contaminated medicine to Asia and Latin America, where it continued to be sold. They even continued making the H.I.V. infected medicine for another few months, because it was cheaper to produce than the new version—this was again sold straight to developing countries. Six thousand people in the US were known to have contracted H.I.V. 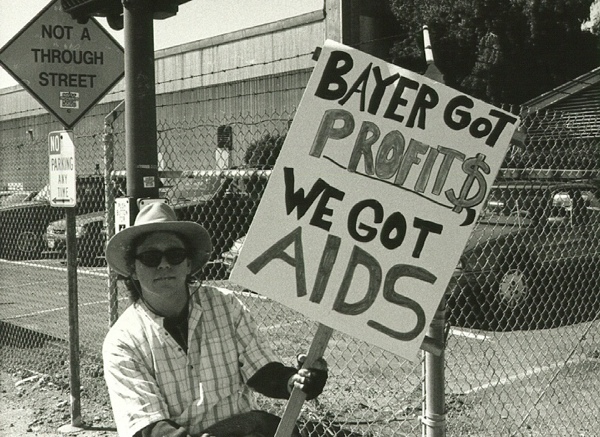 and AIDS from the medicine—but how many died from the tainted medicine overseas? 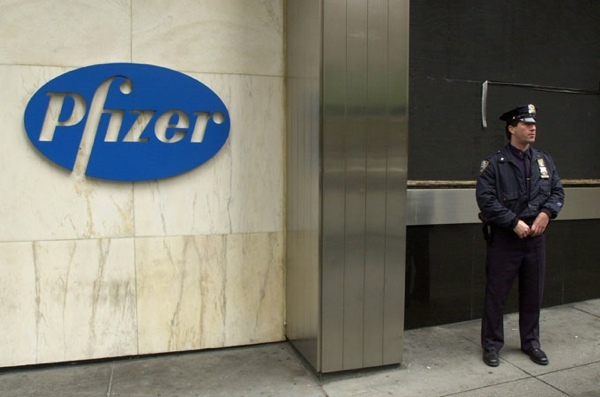 At least 100,000 units of the medication made their way to Asia and Argentina after Bayer stopped selling it in America. Rio Tinto is a mining company that operates mostly out of Africa, and you can probably already see where this is going. 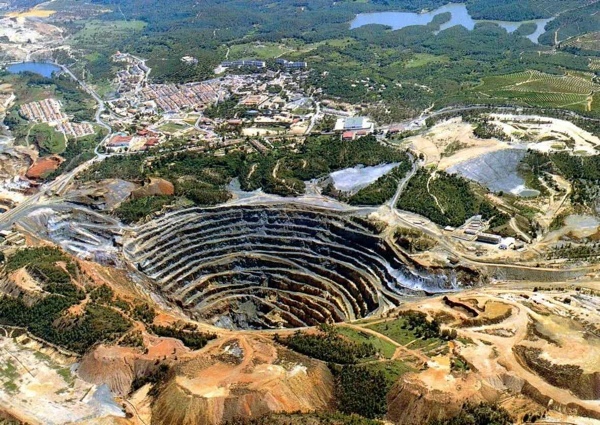 As the biggest private mining company in the world, they provide much of the world’s raw aluminum and copper—along with uranium, gold, and diamonds—and might have the worst track record for human rights violations ever (which, on this list, is kind of a big deal). It started in the 1970s, when Rio Tinto was discovered to have been running illegal uranium mines in Nambia, and using the profits to support the apartheid government in South Africa—in return, the government allowed Rio Tinto to keep operating in the area. Additionally, Rio Tinto maintained its own private mercenary army to keep blacks from rising up against them and the government. Oh and also, the uranium mines used “brutal slave labor,” in the words of the United Nations Council that dealt with the matter. But far from getting shut down, Rio Tinto went on to bludgeon humanity and the environment further at every turn. In 1981, it turned out that one of their Canadian uranium mines had been exposing workers for years to radiation levels more than seven times the legal limit. In Indonesia, they have tortured and killed opponents of their gold mines. And in 2000, an ex-security guard at their gold mine in Brazil revealed that security workers were urged to use violence to keep the miners complacent. It’s basically modern-day slavery. Siemens is an electronics manufacturer that makes everything from car parts to vacuum cleaners—and, in times past, Nazi gas chambers. If you’ve ever wondered who was willing to take the job of building the group-sized hydrogen cyanide chambers used in Auschwitz, now you know. They were also immersed in building the infamous train system of Nazi-era Germany, the Reichsbahn, which transported Jews to the concentration camps. 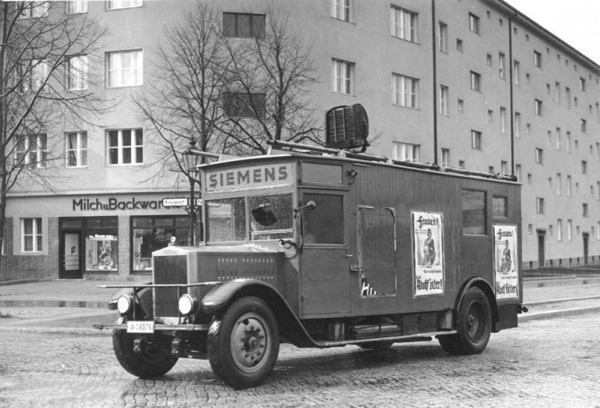 And it’s not as if they were on the fringe of the war—Siemens funded the Nazi Party during the 1930’s and actively supported Hitler’s regime once the war broke out. They had more than 400 factories operating throughout Germany by late 1944, many of which used Jewish labor. But that’s old news; these days, they’ve moved on to more modern endeavors like spearheading a worldwide electronics cartel, bribing government officials, and bribing the entire country of Greece. Wal-Mart isn’t exactly a poster-child for workers’ rights. Besides running sweatshops in China and refusing to hire women, they’ve also been pegged with nearly 250 cases of hiring illegal workers to clean their stores, forcing them to work seven days a week and locking them in the stores at night. And then there’s the small matter of possible human trafficking. One of Wal-Mart’s supply partners is the Phatthana Seafood Company, a shrimp processing plant in Thailand. The workers paid recruitment agents large sums of money for the opportunity to work, after which their passports were taken from them until they had worked long enough to pay off the debt. In a legal sense, that’s one of the criteria used to judge human trafficking cases. The workers are paid $8.48 per day, but the factory only runs an average of 14 days a month, so many of them have to resort to catching snails and tadpoles just to eat. We’ve known about the dangers of asbestos since the 1940’s, even though it was still widely used as a building material until the late 70’s, when use began to decline. One of the major downsides of asbestos is its tendency to cause mesothelioma, a type of malignant cancer that coats the internal organs. 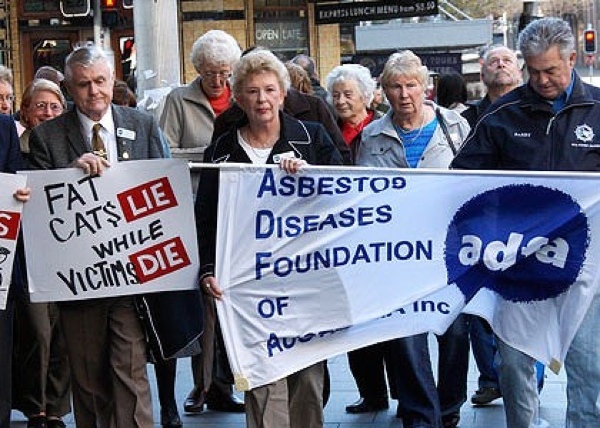 Fast forward to 1987 and you have James Hardie, an Australian manufacturing company, continuing to operate asbestos factories across Victoria, Queensland, and Western Australia. James Hardie was the largest Australian producer of building materials around the time, and after thousands of cases of asbestos poisoning surfaced among its workers, an investigation was launched which found out that James Hardie was well aware of the dangers of asbestos, but continued to manufacture it anyway. Basically, they’ve dodged most of the responsibility as of 2012, while over 12,000 people have have been diagnosed with mesothelioma from their products. 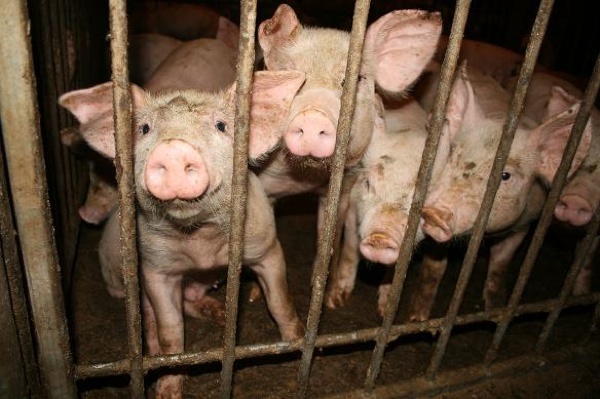 Smithfield Foods is a pig slaughterhouse—that’s fine; plenty of people eat bacon and pork. They package about 6 billion pounds of pork annually, which means they need a lot of pigs. A lot of pigs produce a lot of waste—in the neighborhood of about 26 million pounds per year as far as Smithfield is concerned. But let’s get visceral: Smithfield pigs are raised in barns that hold thousands of tightly packed hogs. The floors of these barns have slits that allow waste to fall through into a series of pipes that takes it to massive open-air holding ponds. The pigs are injected with a cocktail of antibiotics, sprayed with insecticides, and dozens of chemicals that all end up in the holding ponds—ponds so toxic that if somebody falls in, they’ll be dead before you can save them. So how do they get rid of millions of pounds of liquid, chemical-infused pig waste? They spray it into the air in a mist so that it drifts off their property and becomes Someone Else’s Problem. A someone else’s problem filled with hydrogen sulfide, ammonia, methane, and over a hundred other toxic gases that have given people in the surrounding areas conditions like bronchitis, asthma, and neurological damage. In 1928, the United Fruit Company had a strike on its hands. The workers at their Colombian plantation wanted better working conditions, which United Fruit didn’t want to give them. This resulted in the Colombian army setting up mounted machine guns around the strikers, and systematically mowing them down. Later, they changed their name to Chiquita, which is a word you can see on nearly every banana in the grocery store today. But wait, there’s more. In 1954, the Guatemalan president Jacobo Arbenz Guzman was implementing a revised labor code that would effectively take 40 percent of United Fruit Company’s land away. At that time, Guatemala was basically United Fruit’s playground, so rather than take the losses, they responded by initiating a coup d’etat that overthrew the entire government, dissolving the country into 36 years of civil war that had an estimated death toll of up to 250,000. So by this time United Fruit had become Chiquita, and washed their hands of Latin politics for good. Except, they didn’t. 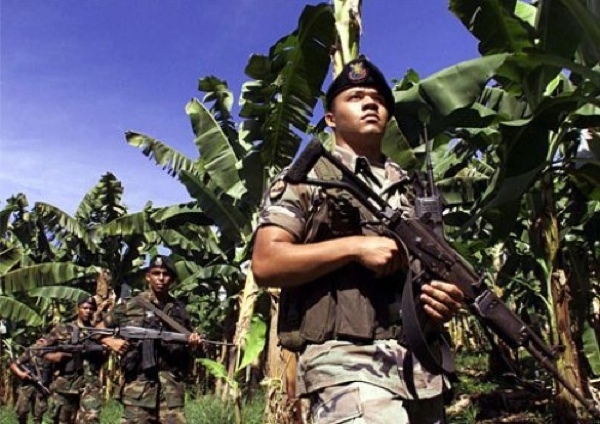 In 2004, Chiquita was accused by the Justice Department of paying money to a right-wing terrorist group in Colombia to protect their plantations. And then they turned around and provided funding to the Revolutionary Armed Forces of Columbia, a leftist terrorist group that has in the past been involved in a plot to assassinate Hugo Chavez. Why can’t banana companies just grow bananas anymore?